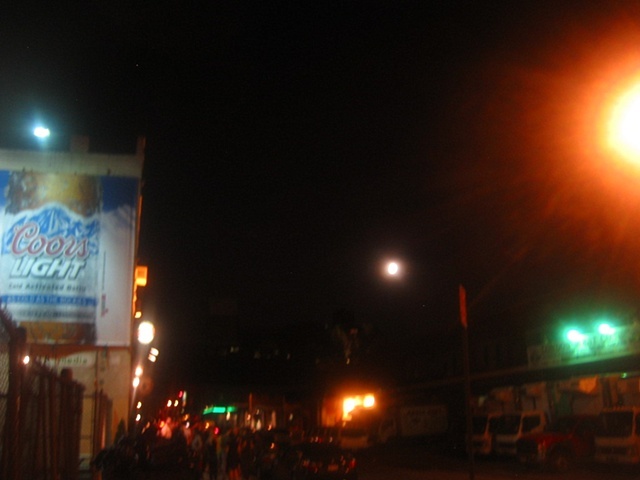 I walked around the market on Satuday night to see what really goes on in my neighborhood. The bright light in the right hand corner of this picture is brighter than the very full moon to the left of it. It's a mechanical sun.